When I have the time, I really enjoy making cards to mail to people. I am not the craftiest, so my cards tend to be pretty simple. 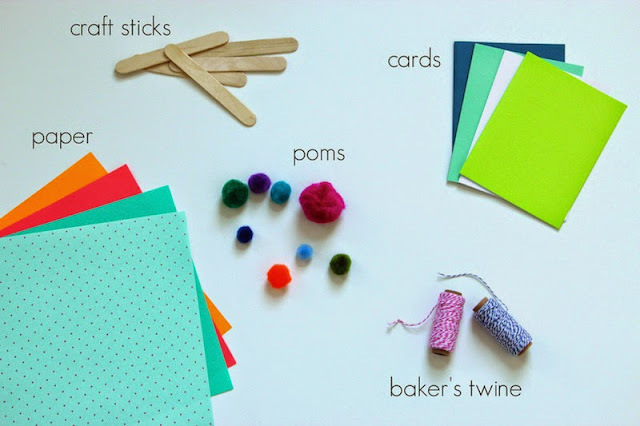 With just a few basic craft supplies, you can make some bright and cheerful birthday cards. I made these cards to send to our nieces and nephews (nine currently, with three on the way!) throughout the year. It's easier for me to know I have a good supply of birthday cards on hand, so that when the time comes I'm not stuck sending a card out late! 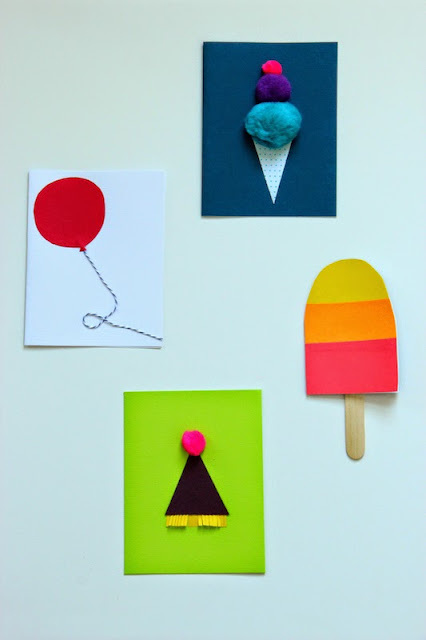 Using fun patterned or brightly colored paper, cut out shapes for the ice cream cone, balloon, party hat, and popsicle layers. Glue the shapes to the front of the cards. Add baker's twine to the ballon for string and colorful poms to make the ice cream and the party hat topper. Cut through both sides of the card for the popsicle, making sure that there's still enough of an edge to keep the card intact. Glue a craft stick to the back of the popsicle card. And there you have it! Very simple, colorful birthday cards that even kids can make!